The Springfield Mil-Spec is a handgun that claims to be made to the exacting Mil-Spec standards of the US Army. The gun is a remake of the Colt M1911A1. The gun pictured below, however, is no longer made. 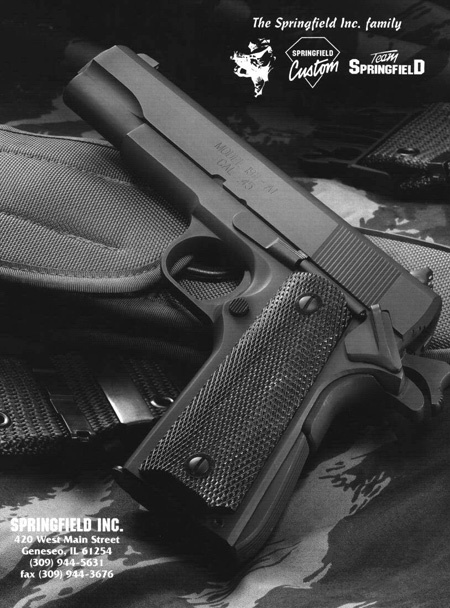 Springfield Armory still makes a GI “Mil-Spec” 1911A1. The gun is not truly mil-spec, though it looks similar.